This is such a yummy dip with the corn chips I made the other day… just have to be careful you don’t eat the whole lot in one sitting. If you did happen to have any left over you can dehydrate this dip by spreading on a lined dehydrator tray and dehydrate until dry. You can then break into pieces and store in an air-tight container to save and eat later with guacamole, salsa or on top of salads. In a food processor, place all ingredients and blend until smooth. This dip will last 3 to 4 days refrigerated, or you can dehydrate and store in an airtight container. 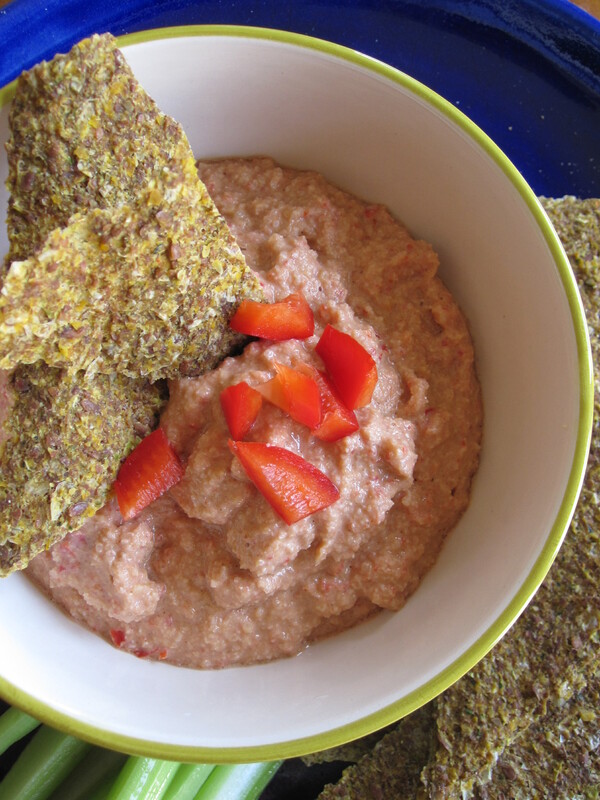 Delicious with corn chips… or carrot and celery sticks….so yummy.